Impound accounts are sometimes referred to as “escrow” accounts and refer to the funds that are held on the borrower’s behalf as a part of the lender’s service. A borrower is said to have an impound account when the monthly mortgage payment includes property taxes and/or monthly homeowner’s insurance premiums. The term impound comes from the fact that when a borrower has an impound account, the lender requires the borrower to pay some money into this account in advance, thus ‘impounding’ the money. With each monthly mortgage payment, the borrower will include one twelfth of the annual property taxes and one twelfth of the annual insurance premium. While this monthly addition to the principal and interest payment will obviously increase the borrowers’ monthly obligation, there will be no shock to the borrower’s budget when the property tax bill and insurance bills come due. Because half of the property tax bill is due November 1; the other half is due February 1, the borrower who has an impound account will be spared from scrambling to come up with the cash to make those lump sum payments to the County. For a house purchased in Santa Cruz County at December’s median price of $919,500, the semi-annual tax bill will be above $5,000. The exact amount is dependent on the sales price as well as the assessments for that neighborhood. The homeowners’ insurance premium is typically due once per year and can be $1000 or more. Many borrowers choose to set up an impound account with their lender at the time the loan is originated; however, lenders are always happy to set up an impound account at any time after buying or refinancing the home the benefits are obvious: budgeting is automatic and there is no choice but to set money aside each month for the inevitable property tax and insurance payments. Actually, homeowners’ insurance, which protects the homeowner from such hazards as fire, theft, liability, etc., is required by lenders but is not required if there is no mortgage on the property. As insurance helps protect a person’s most valuable asset, I am always amazed to hear of some fire or flood that financially wipes out a family because they had no insurance or because it had lapsed. All FHA loans require an impound account and most all lenders who loan more than 90 percent of the value of a home will require an impound account. The biggest downside to an impound account is having to pay a chunk of property taxes in advance. Depending on the time of year the escrow closes, up to 8 months of property taxes may be due at the time escrow closes. Eight months of property taxes can add $6,600 or more (in the above example) to the cash required at closing by the borrower. This injection into the impound account will provide the lender with slightly more than enough cash to make the required property tax payments to the County because lenders require an extra 2 months of property taxes in the borrower’s impound account as a buffer to cover future increases. Proposition 13 protects the home’s property tax base but property taxes are still allowed to creep up at the rate of 2 percent per year. Borrowers who have the choice and choose to not set up an impound account benefit by being in charge and control of their own funds. It takes discipline to set aside these funds but those who are savers may wish to keep their money where they can have access to it. 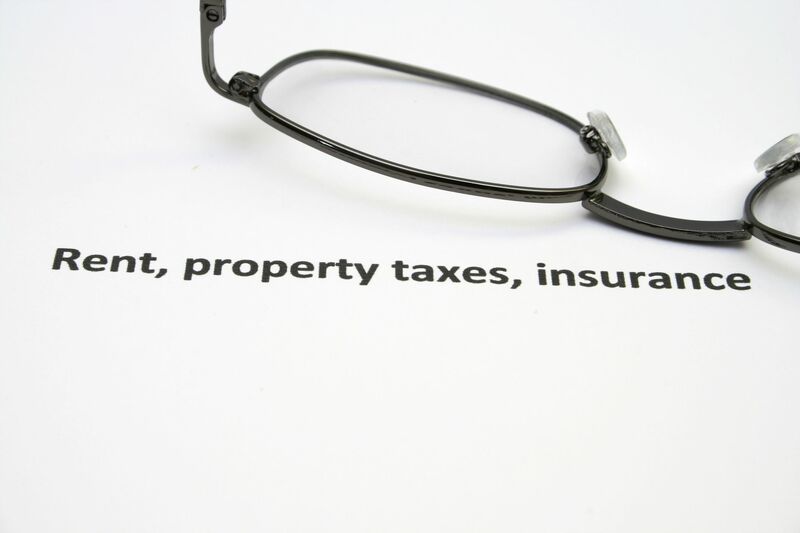 Starting with your 2018 federal tax return filing, and so long as you meet certain criteria, you can deduct 20 percent of your real estate rental profits right off the top before calculating your taxes.